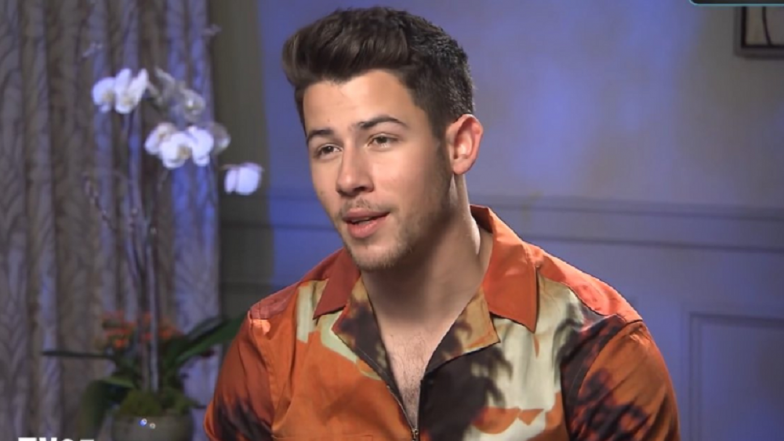 Los Angeles, April 16: Singer-actor Nick Jonas says it is "kind of a dream" that his wife and actress Priyanka Chopra, Sophie Turner and Danielle Jonas are "so connected". In an interview to Entertainment Tonight, Nick opened up about the close friendship that has formed between Priyanka and his brother Joe's fiancee Turner. "It's a great feeling. I mean, it's kind of a dream where, as close as we are as brothers, that our wives and fiance are so connected as well," Nick said. The Chains singer admitted that reforming the Jonas Brothers band was "obviously a huge adjustment for everybody", but they have gotten nothing but love and support from their significant others, including Kevin Jonas' wife Danielle. "These incredible women have handled it so well and have been the best support system for each of us, individually and as a group," Nick shared. Priyanka Chopra - Nick Jonas Are Heading for a Divorce? Here's the Truth. "To get to share that with them is a really amazing thing." While Priyanka has been welcomed into Nick's close-knit family, the 26-year-old entertainer said he has managed to blend in well with his wife's family as well. "It is one of the things we were so drawn to about each other. And the family's just getting bigger and bigger, and that's a beautiful thing.